The suggested hotels for the participants of RCIS 2015 are listed below and special rates were achieved. 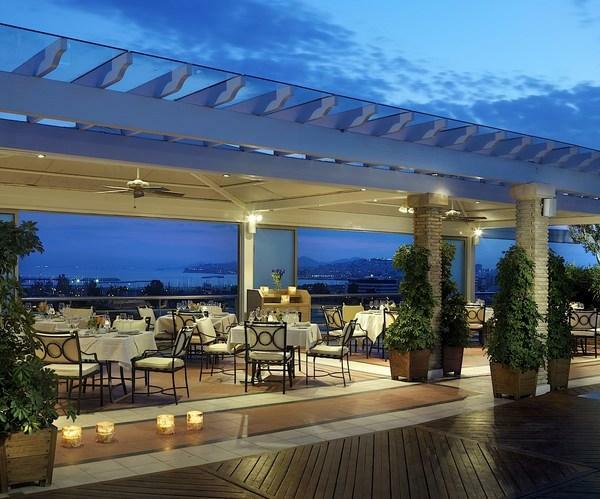 It is located near the University and Athens sea-front. 1. Within a 100m distance from the hotel there is a bus stop named EYGENIDIO. The appropriate bus is B2. 2. After 7 stops you should change to the bus 040, in the bus stop named Agios Sostis. 3. After 3 stops, there is a bus stop named Harokopou. This is your stop. 4. In 140 m. you will have reach Harokopio University. You may find a taxi outside the Hotel. The fare will cost less than 4€ (min. rate) and the ride will take almost 5 minutes. It is located in Athens city center. Reservation: In order to place your reservation, please send an email to the hotel (reservations.pa@grecotel.com). You should refer Harokopio University - RCIS code to get special rates. 1. Two minute walk to Omonia Square. 2. Get M1 green line (train) towards Piraeus. 3. After 4 stops, get off to Tavros Stop. 4. Within 700m. you will have reach Harokopio University. You may find a taxi in Omonia Square. The fare will cost 5-6€ and the ride will take almost 15 minutes. It is located by the sea-front. 1. One minute walk heading to bus stop EDEM. 3. 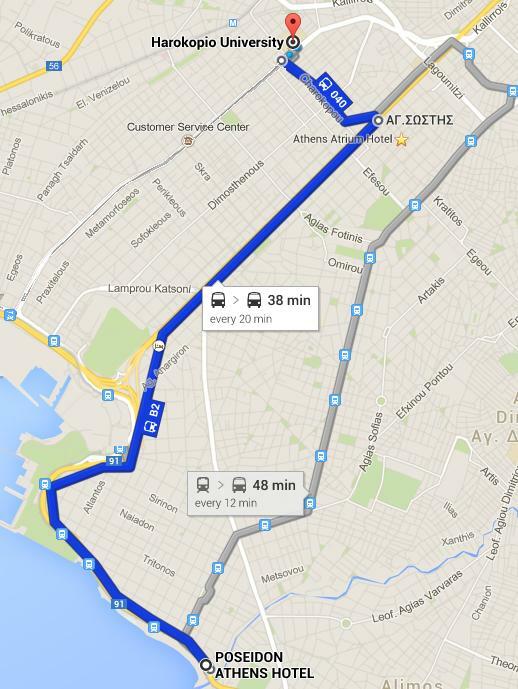 After 16 stops you should change to the bus 040, in the bus stop named Agios Sostis. 4. After 3 stops, there is a bus stop named Harokopou. This is your stop. 5. 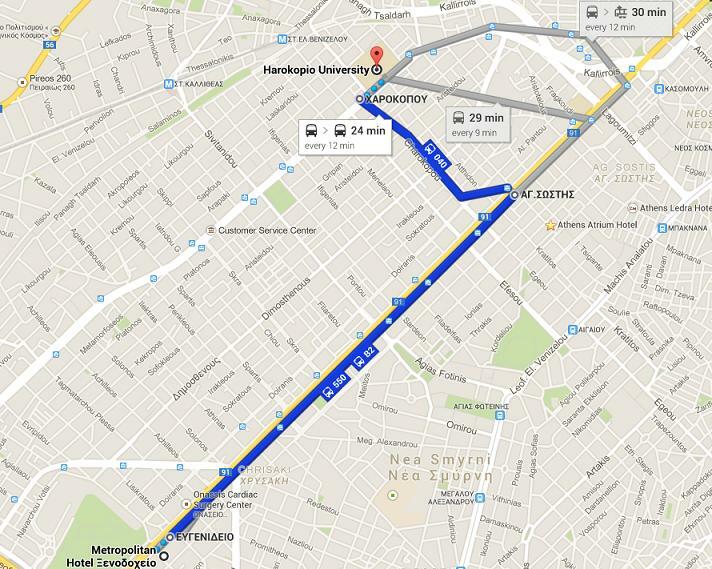 In 140 m. you will have reach Harokopio University. You may find a taxi outside the hotel. The fare will cost 5-6€ and the ride will take almost 15 minutes. The price for a taxi is fixed to 35€. From Athens International Airport, you can take either the 24-hour bus X95 that terminates to Syntagma Square or the metro. 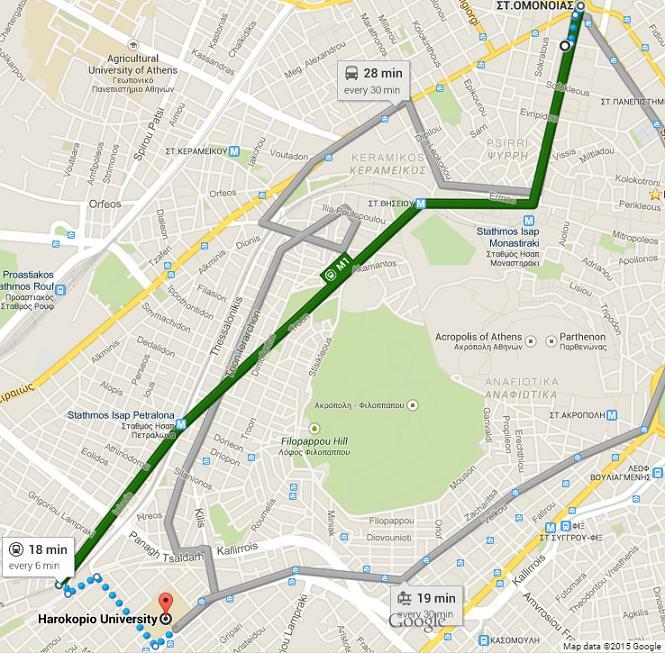 From Syntagma leaves the bus B2 which after 12 stops leaves you in a 500 meters distance from the hotel. Take M3 line from the airport and after 15 stops get off to Syntagma Station. Change to line M2 and after 2 stops get off to Omonia Station. 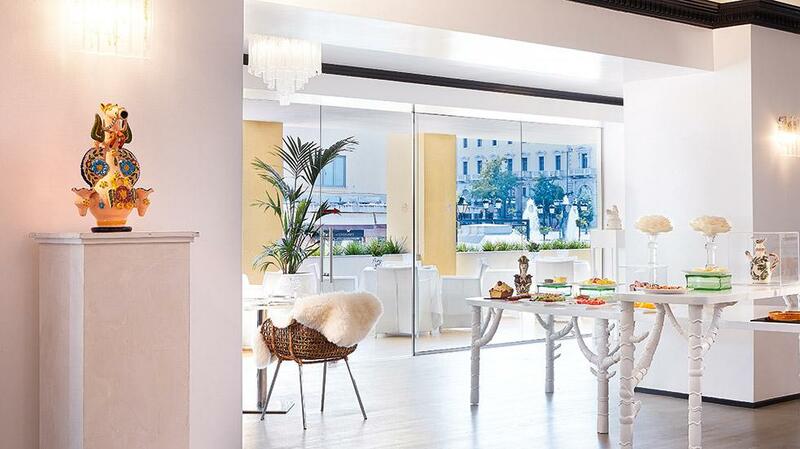 Within a 2 minute walk you will be in Grecotel Pallas Athena. From Athens International Airport, you can take the 24- hour bus X96 that terminates to Piraeus and after 24 stops get off to EDEM stop. 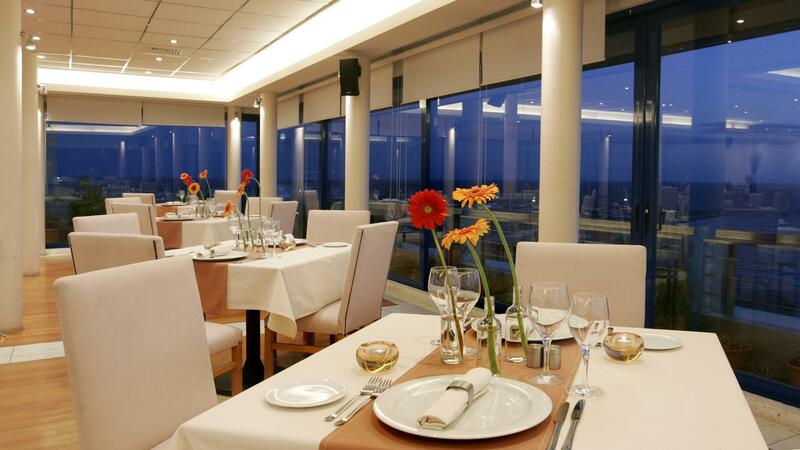 Within a two minute walk you will be in Poseidon hotel. To plan excursions in nearby destination please contact HELLENIC VISION congress.hellenicvision@gmail.com . Here you will find some propositions for your excursions.